Ready to get to work? The RAM 2500 is the right man for the job. 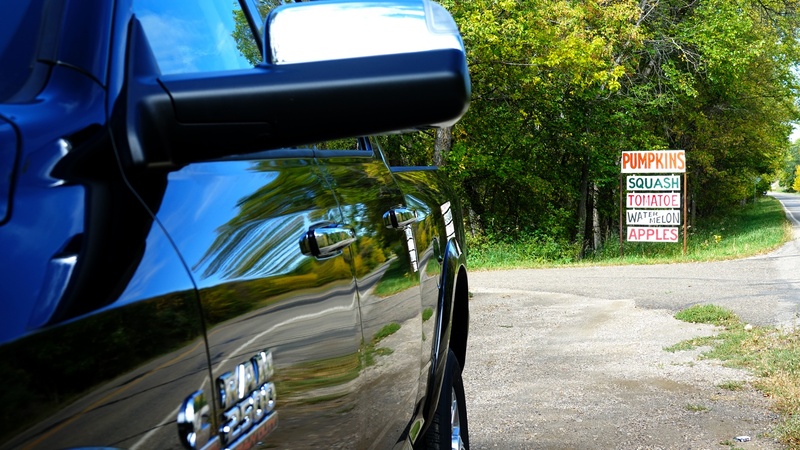 We're digging into just what makes this truck such a powerful option for North Dakota drivers with this three part series. We'll cover the design, the engine, and more. This week, we're starting with the design and styling of this truck by talking about the luxurious interior and incredibly capable exterior. Get ready to haul whatever you need and then some. This RAM 2500 is built from the inside out to handle it. When the gas engine is properly equipped, this powerhouse has a maximum payload of 3,990 pounds. 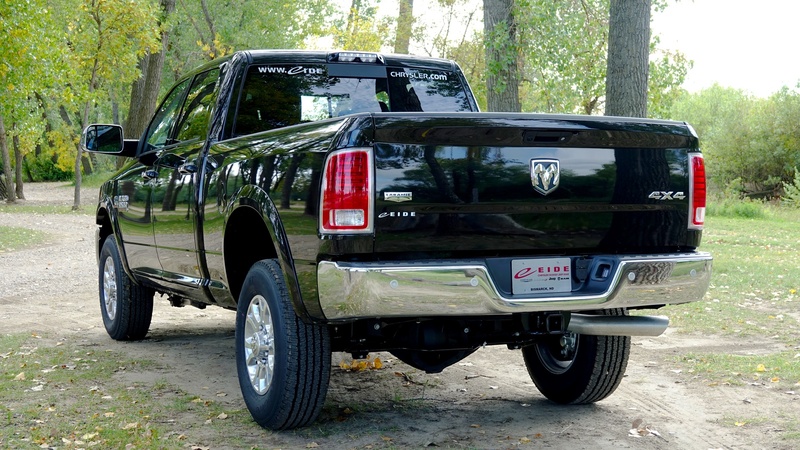 It can tackle the biggest jobs because of a special RAM-specific spring technology. A standard five-link coil rear suspension takes the beating so you can enjoy less friction and impressive towing. Speaking of that, let's move on to the back of this bad boy. The most important thing about the rear of the 2018 RAM 2500 is its best-in-class max towing. We're talking a whopping 16,320 lbs. of towing capacity for this truck! You can easily compliment that ability by opting for the class-exclusive rear auto-level air suspension. Add to all of that the standard, ParkView® Rear Back Up Camera System25, and you have all you need, even on the toughest job sites. 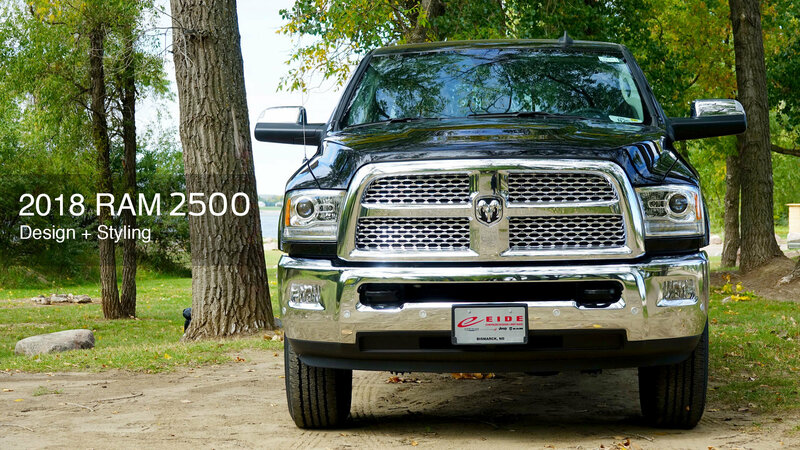 Sit in the new RAM 2500 and experience an oasis of luxury while you're out there on the job. 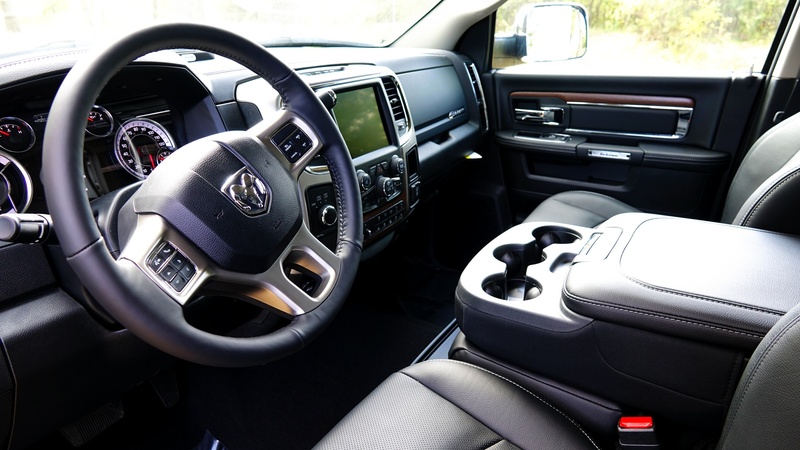 Even your passengers will love your new RAM, since the design gives them special attention too with versatile seating options. And you can even up the ante if choose the available Ram Work Grade vinyl seats. The vinyl provides easy cleanup and impressive durability so you know even the seats in your RAM can take a beating. Not to mention the updated tech features, which we'll talk about more in part two of this series. If you're looking for a truck that's seriously designed for you, the 2018 RAM 2500 is the right choice. Stop in today and sit in it yourself.